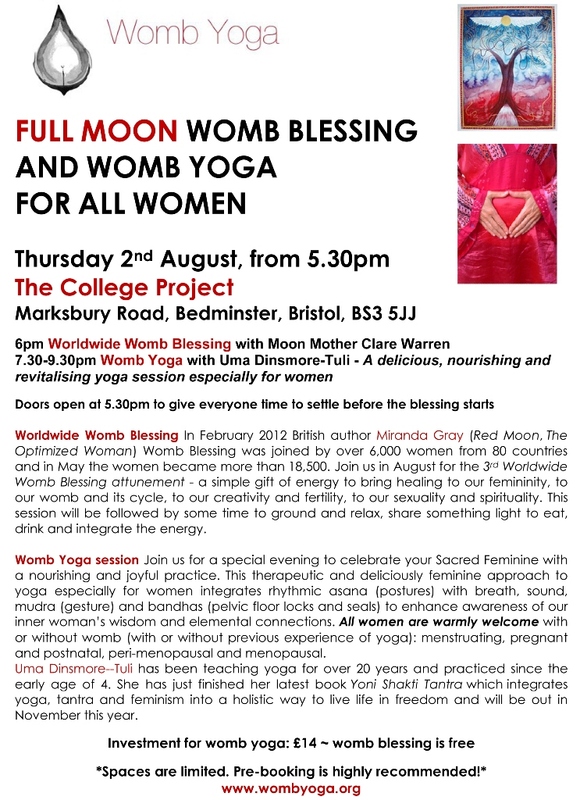 The World Wide Womb Blessing that took place at the College Project on the 2nd of august was a fantastic celebration of the Divine Feminine. We had an incredible number of women join us, with around 35 women from Bristol, Bath and Stroud. After training with Miranda in April as a Moon Mother, I felt moved to help spread the healing energy out and share with other women. The workshop will be held in such a beautiful space at the Centre for Whole Health in Bedminster, south Bristol on August 11th and 12th.